A couple of months ago, I received a random text from one of my best friends, informing me that Julia Child, world renowned cook and author, was 6ft 2”. I myself stand 6ft2” and let me tell you, it’s not everyday that I hear of other women who are above average in stature, let alone are world famous. With that little tidbit simmering in my mind like Julia’s iconic bouef bourguignon in a rich red wine gravy, it came as no surprise that during my daily bath, I decided to re-watch the darling film, Julie & Julia. As I settled in under the blanket of bubbles with a nice glass of Merlot (I’m finding that Merlot is becoming quite a common subject in my blog posts as of late), long legs stretched before me in the tub, I pushed play and became immersed in Nora Eprhon’s film about two unlikely ladies following their passions with bravery and lots of butter. In it’s clever screenplay, I found similarities in both story lines that aligned themselves incredibly close with my own story. Aside from the fact that I shared a rare and special height advantage with Julia Child, I also empathized with the struggle of wanting to do something with my life, but having hesitations and doubts about it going somewhere of importance. In Julia’s case, we have a forty-year-old woman living in Paris searching for something to do with her ample time. Trying her hat at millinery (pun definitely intended) and bridge, she soon discovered that the only thing she simply loved to do, was eat. Throwing herself alongside professional (and all male) chefs at Le Cordon Bleu, she then went on to co-write an incredibly successful cookbook called The Art of French Cooking. And this was all because the woman loved to eat. Fast-forward about sixty years and we arrive in Julie’s small apartment in Queens, where we discover an exhausted woman tired with her job and determined to starting a goal and following through with it; in this case, cooking 524 recipes in 365 days, all out of Julia Child’s cookbook. To keep herself motivated, she decides to record it by blogging, which in 2002, wasn’t a popular outlet to document on. So we follow her through her many breakdowns and blogged musings and sympathize with the question of wondering if there’s anyone out there listening, and do they really care? As the two stories interconnect with each other over delicious table settings and mmmms! and bon appetits!, I begin to unwind a little as I find comfort in the fact that I am not alone in my search for purpose. What both of these women shared in common was that they loved to cook. And where each of their paths took them on different routes, they both ended up being successful in their fields because they followed their passion for food. And butter. Let’s not forget about the butter. In my story, I have a passion for writing and like Julie, I’m communicating out into this void wondering if anyone out there is listening or cares. Whilst she’s documenting her recipes, I’m documenting my life, and I have to believe that when the time is write (pun intended, yet again), I too will someday find success in my field. An acquaintance of mine asked me the other day if I had any advice for her young daughter who was about to leave the family nest. She, too, was in the process of figuring out what to do with her life and after thoughtful consideration, I replied simply. I told her that it doesn’t matter if she didn’t know what to do next. In my experience, following that thing that makes your heart sing, regardless of whether it’s your job or just a passion you have on the side, is the most important thing. Pursuance of your passion eventually leads you to your purpose. Hearing myself say those words aloud made me realize that that passion for me, was writing. When I sit down at the computer and let my fingers dance across the keys or when I put that magical pen to paper and scroll across the lines with fierce abandon as my thoughts come to life, I swell with joy. And I’ll continue to write, despite not knowing what the future has in store for me. All good things take time, and whilst I patiently wait for my writing to bring clarity as to what I should do with it, I’ll continue to type into the void because it’s my favorite thing to do. Like Julie and Julia, I’m going to pursue the thing that makes me feel like Julia when she tastes the perfectly cooked bouef bourgoinon that’s been cooking for seven hours. 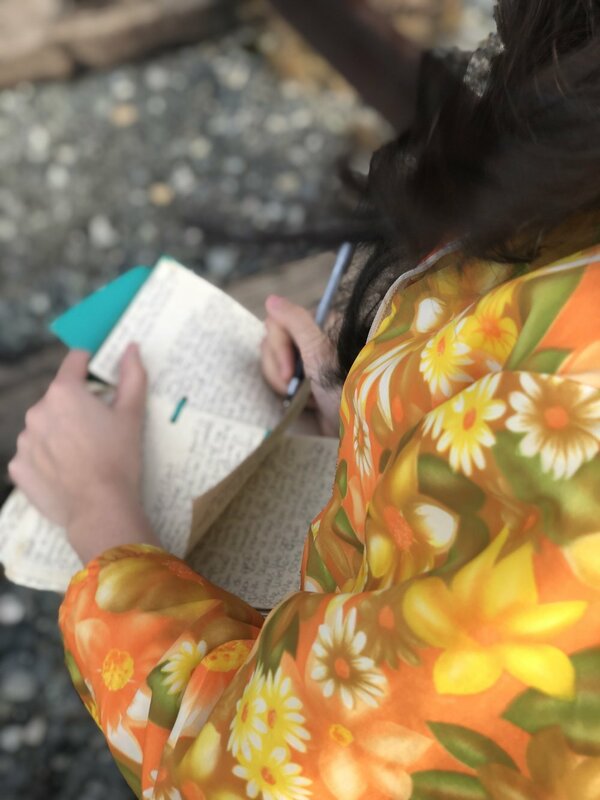 Because one thing is certain: writing is a part of who I am and how I express myself, and stopping that is stopping the one thing which makes me feel the most alive. Speaking of “write” time, Mr. Windy made his appearance in this photo at precisely the wrong time.